Fuel injectors often fail as any vehicle ages, including the LR$ and Range Rover. If your vehicle is sounding rough at idle, you're getting repeated engine misfires and having to get your "check engine" light reset repeatedly, the culprit is often a faulty injector. This set of 8 injectors are OE injectors by BOSCH and offer dependable genuine quality at a value price. The included injector removal tool is specifically designed to extract fuel injectors from 5.0L Land Rover fuel-injected engines like those found on the LR4, Range Rover Sport and Range Rover Full Size. Failed fuel injectors can often freeze in place on these vehicles and they become impossible to remove successfully without this tool. The result of not using the tool is often a broken injector you can't get out. This tool puts even downward pressure on stuck injectors to ensure they can be extracted properly without breakage. 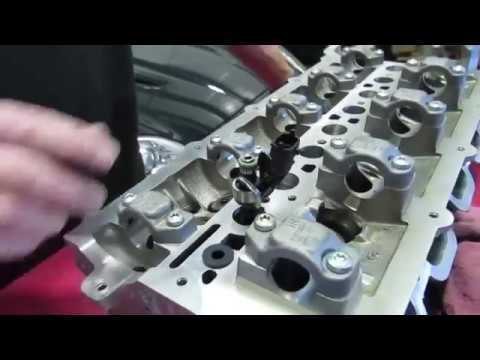 Atlantic British Repair and Maintenance How-To Video: Watch Doug, our Land Rover Master Technician, explain removal and installation of 5.0L Fuel injectors for all 5.0L V8 from 2010 to 2013 or 2014 depending on Your model Land Rover or Range Rover. Doug uses a bare head in our demonstration to show removal and replacement of the fuel injector (part # LR079542). Questions about this video? Call 1-800-533-2210.